Mr. Scott Goodman has over 23 years’ experience in research projects along the Pacific West Coast and Alaska. Scott has benefitted from experience with NRC founding and prior partners (Lee Alverson, Steve Hughes and Jeff June) through hundreds of NRC research and legal projects over the years. 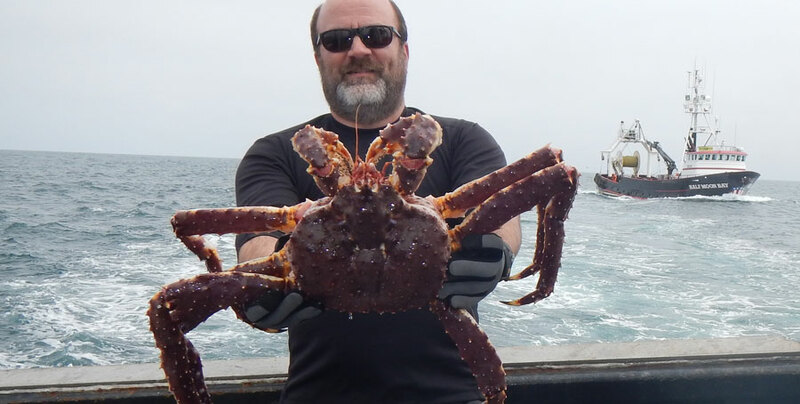 Scott’s strong focus over the last 10 years has been on cooperative crab research in the Bering Sea, working with fishermen and government researchers on large scale crab research and management issues. Currently, he is the Executive Director for the Bering Sea Fisheries Research Foundation (BSFRF) helping lead industry-supported, cooperative research focused on improving science for sustainable crab management in the Bering Sea. Under Scott’s oversight, BSFRF prioritizes and conducts approximately $1 million in cooperative crab research, annually. Scott has appreciated tackling some of the more difficult issues that are important to continue improving sustainable fisheries management, especially projects that include important stakeholder involvement. He continues NRC research on several ongoing projects that rely on a working knowledge of the industry, monitoring of U.S. commercial fisheries, quota asset valuations for Alaska/West Coast interests, and spatially sensitive analyses of global fishing trends. Scott is a western Washington native, lives in Everett with his family and greatly enjoys being on the water for both work and play.